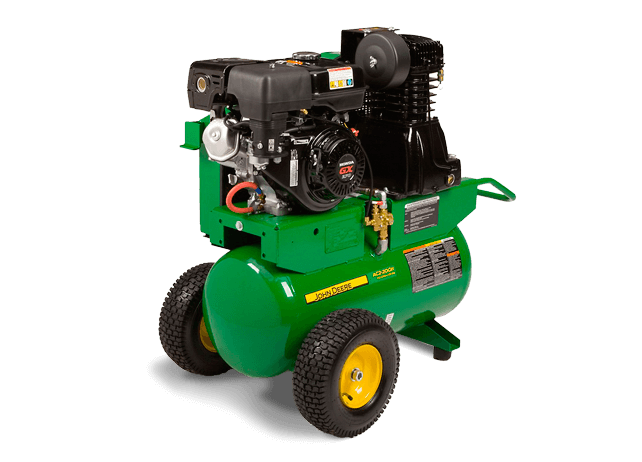 John Deere has developed a complete line of air compressors to meet the needs of its customers. This product line features 18 units ranging from a small hand-carry electric all the way up to an 80-gallon stationary unit. John Deere air compressors are built to very stringent safety standards, and all electric powered air compressors are tested, certified, and listed to meet CSA standards.